With a population of over 7 million, Hong Kong is one of the most densely populated cities in the world. 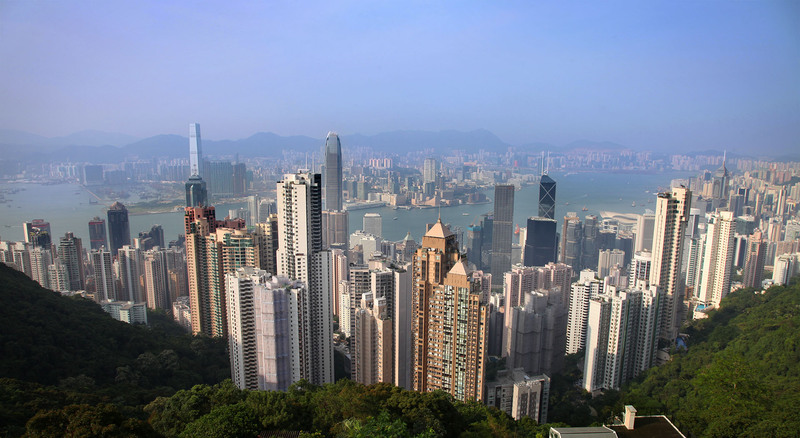 Known by its initials, H.K., Hong Kong is a world city and international financial center that is part of the big three–New York, London, and Hong Kong–that support the global economy. I have been able to spend a few days in Hong Kong taking pictures and filming. Over the next few days, I’ll post my visual impressions of the city. I never feel like I have enough time to capture the full story of the places I’ve been. Hong Kong is certainly no exception. There is so much more to a city of this Magnitude. The city is exciting and beautiful. The people are friendly. Language was rarely a problem. Almost everyone I met spoke English. And, perhaps most important to surviving the long days of filming was the food. In a word, great. I now have a much better command of chopsticks than ever before. Hong Kong became a British Colony in 1842. In 1997 China peacefully resumed control of the densely populated financial center. Great picture! Our good friends, the Christensens, lived in Hong Kong for a few years and loved it there. Thanks, Judy. Hong Kong would be a great place to live.